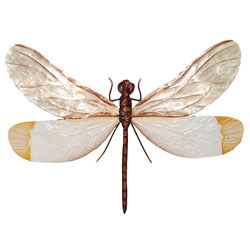 Stretching out its wings, the Brown Dragonfly is ready for flight. Look closely and you will see a mix of bright and subdued colors. 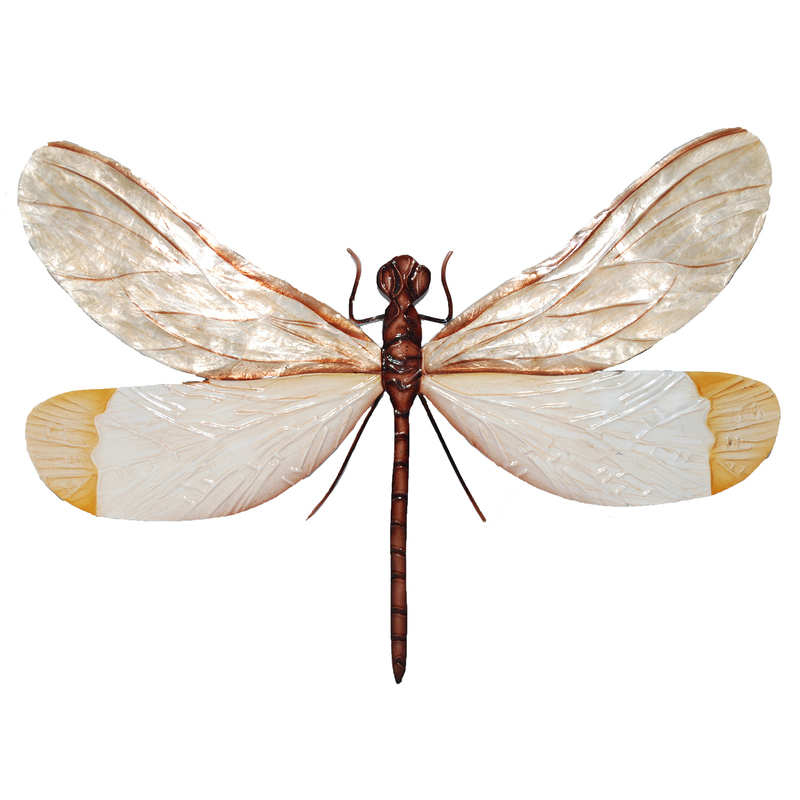 One will see the delicate nature in the upper wing not only because the artist drew in the vein structure, but also because the artist uses capiz shell to represent the translucent nature of the wing. 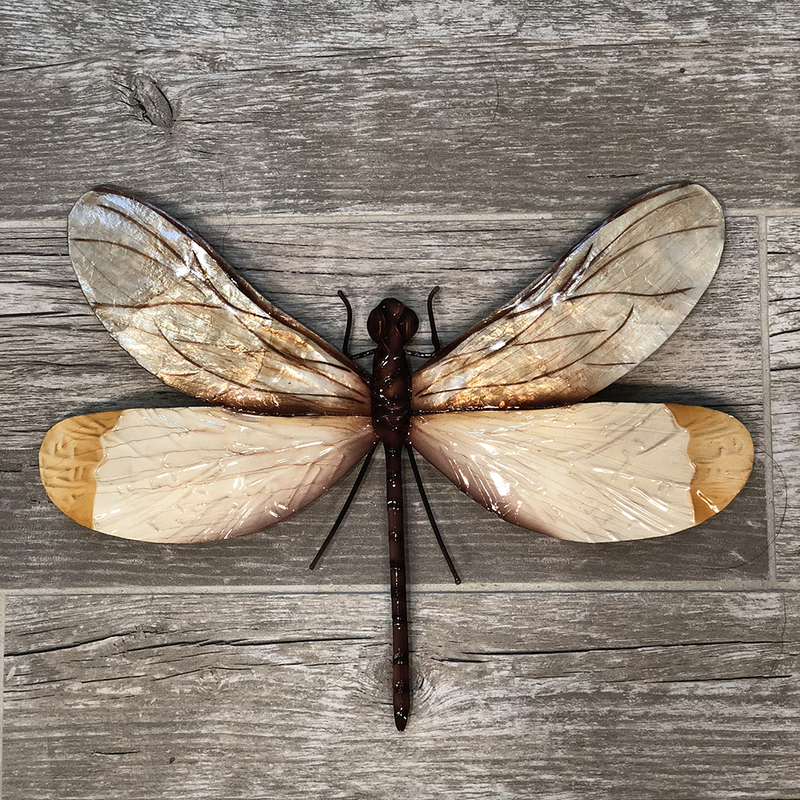 In the lower wing, the artist shaped the tin frame to the vein structure to demonstrate the hardy nature of this dragonfly.